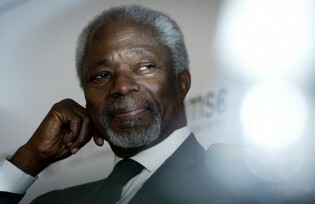 Dear Nane Annan & Family, The IPS family would like to express our deepest condolences to you and your family on the passing of a husband, a father, a global statesman. As journalists, we find that few words can express our deep loss for a man who personalised and lived the vision and truth of a just and equal world. The recent announcement of the Nicaraguan government’s 80-million-dollar purchase of 50 Russian tanks caught the attention of the press in Latin America and caused alarm in the international community. Consider this. A young girl called Amina Mohamed who is the 8th of 9 children, from a modest Muslim home in Kakamega County in Kenya was encouraged by her parents to complete her education and pursue her dreams.